Looking for a “wheelie” fun way to play with Little People Wheelies? On the Stand ’n Play Rampway, they zip and zoom up and down and all around. 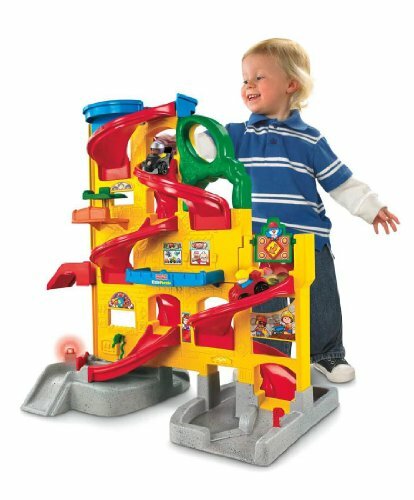 It’s over two feet tall, so the “wheelies” really zoom down each of the two spiral ramps. Plenty of lights and sounds as kids “drive” around, with a mechanic’s lift, a place to fill ’er up, a sign that spins when a car drives through and more. Includes rampway and two Wheelies vehicles. Requires 3 AA batteries.